Formerly known as Stone Hill Winery, Curling Vine Winery in Branson features a large gift shop with many wine-related gifts and accessories. If you want to experience unique shopping in Branson, don’t miss to visit this place. This winery offers free tour daily. Here you will learn how Spumante is produced and you can have samples of unique line of wines and juices. The tour includes the history of winemaking, a fascinating bottling demonstration, and wine and juice tastings. The tour will end with samples of their award-winning wines and juice for the kids. 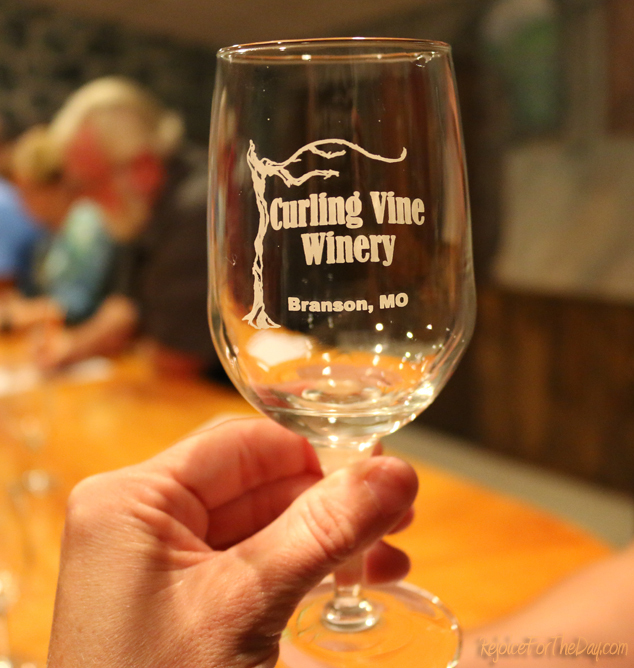 Since the opening of Stone Hill Winery in 1986, now called Curling Vine Winery, it is one of the newest wineries in Branson that offers tours and wine tasting to visitors. When you visit the winery, you can have the opportunity to taste the popular Norton red with its dry, full-bodied flavor and complex mixes of fruit and oak. You can also get the chance to taste a variety of sparkling wines, from the dry Brut Rose to the sweeter Spumante Blush or Golden Spumante. Visitors to the winery can have the chance also to learn how the vintner extracts juice from grapes grown in its Hermann, Mo. Vineyards, and turns it into a wine today. If you are one of the wine drinkers who want to experience a fantastic shopping in Branson, don’t miss to visit Curling Vine Winery as it’s in this place where you can shop wine-related gifts and a chance to taste a variety of wines. If you like white wines, you can sample varieties such as the Vidal Blanc, the dry wine with its crisp, lights and fruity flavor of oak and spice. You can also opt for the semi-sweet Golden Rhine, made from fermented Catawba grape to preserve the fresh fruit aromas and flavors. Curling Vine Winery in Branson offers special VIP winery tour and tasting called “Grapes to Glass.” If you participate in this special tour, you will be guided by the member of the staff on an insightful journey from winery’s Norton vineyard to the tasting room, where you’ll learn a few secrets behind Curling Vine Winery’s success in winemaking. The cost for this VIP winery tour is $25 per person. This kind of tour is offered several times a year and requires reservations and a limit of 40 people per tour. If you are part of a Group Tour, a private Grapes to Glass VIP tour can be scheduled through the winery’s Group Event Coordinator. The Group Tours offered by the Curling Vine Winery can help organize additional activities to make your visit at the winery a memorable one. Reservations are required in this group tour and a minimum of 30 people per tour. So, if you are looking for an exciting place to enjoy unique shopping in Branson, don’t miss to visit Curling Vine Winery where you can shop wine-related gifts and accessories and a chance to taste a variety of wines.